Yet another app to Lock and Unlock your iPhone/iPod Touch. Choose activation methods in the Settings.app. 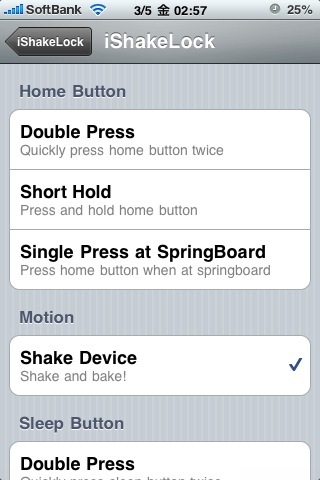 Though 'Shake Device' is selected by default, you can change or add them as you like.